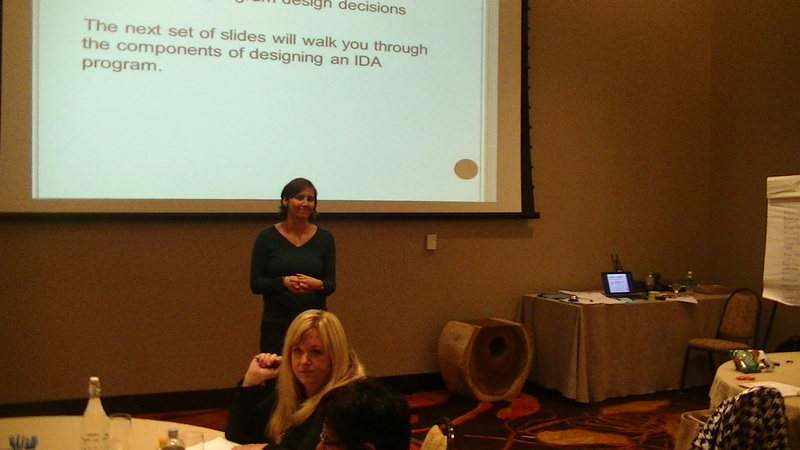 Native American tribal representatives from many parts of the U.S. converged on Denver, Colorado, in November 2014 to attend a state-of-the-art, two-day “Native IDA Training Workshop” sponsored by First Nations Oweesta Corporation (an independent subsidiary of First Nations Development Institute), Christina Finsel Consulting, and First Nations Development Institute. Attendance at the workshop demonstrated the broad and fast-growing interest in an effort that is helping Native Americans build their assets. IDAs, or Individual Development Accounts, are matched-savings accounts that help people learn the savings habit. 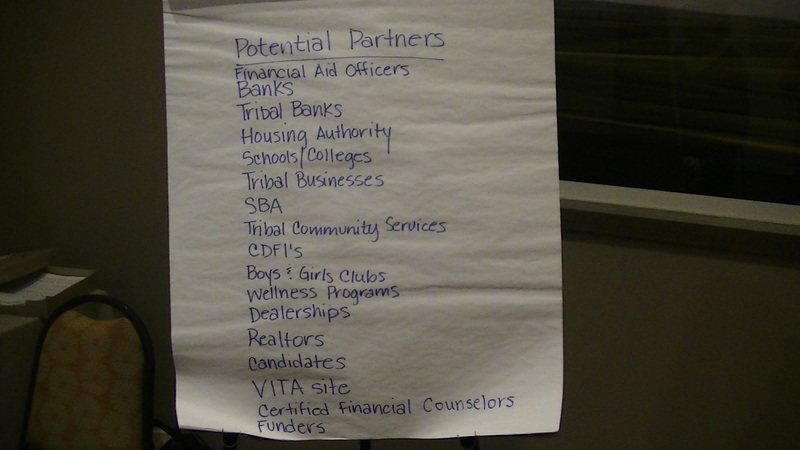 The training was designed to assist Native Community Development Financial Institutions (CDFIs), tribes and other Native organizations that are hoping to establish or build their IDA programs. 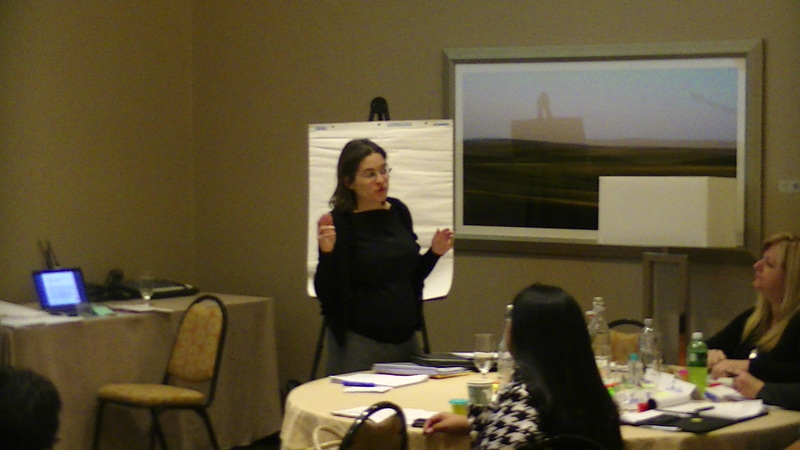 Nationally, there are more than 30 Native IDA programs serving their respective communities. 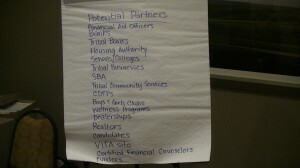 The more than 25 participants represented numerous tribes or reservation-based organizations, including Gila River, Santo Domingo Pueblo, Seminole, Seneca, Sisseton Wahpeton, Chickasaw and others. 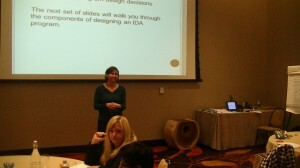 They attended sessions that covered designing a new program, growing an existing program, and how to capitalize an IDA program. Because the programs represented were at different levels of evolution, the workshop modules were customized for different working groups. Topics were as broad as designing or modifying policies and procedures, data management and reporting, and program sustainability. All of the participants were interested in discussing marketing and recruitment strategies, and peer learning was supported as the more mature IDA programs were able to mentor young or start-up IDA programs. 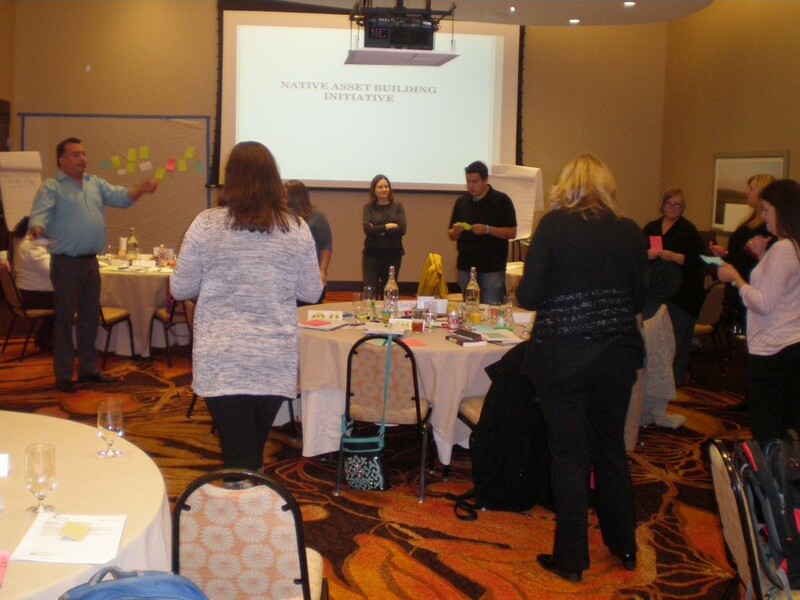 Participants responded positively to the training, with one sharing that “facilitators took the time to listen and answer our questions … they were very knowledgeable.” All attendees agreed that the content presented was useful to them. Most participants (95%) also agreed they would recommend this training to others.